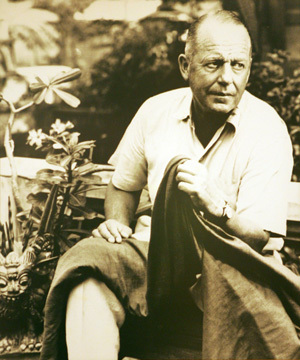 Thank you Style Court for introducing me to Jim Thompson’s life and legend. I followed a link and down the rabbit hole I went into a life well-lived, indeed. Ms. Goddard expressed great admiration for the Thai silk suit Thompson was wearing and expressed her wish to get one like it for a gentleman friend. Without hesitation, Thompson made her a gift of the suit and returned to his hotel wearing a raincoat belonging to his host. Thompson disappeared during Easter weekend, 1967 in the Cameron Highlands. By then, Thompson had been in Thailand for nearly 22 years. Read on dear friends. We have much to learn. This entry was posted in Elegantology, Living and tagged Elegantology, Living, travel. Bookmark the permalink. Really interesting. A friend was in Thailand with the Peace Corps and brought me the silk frames. This was at least 20 years ago, and that’s when i learned the story. I was just reading about Jim Thompson the other day and was fascinated, but also a little disturbed about his disppearance . . . Thanks to both you and Style Court for the introduction to a fascinating man. This is a story about which I would like to learn more- fascinating. I need to get that book- I’m sure it is an interesting read.